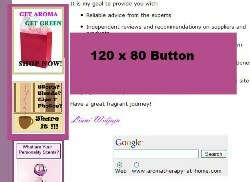 Let us handle your ad campaign to promote your aromatherapy-related products. Why you should advertise on this site? 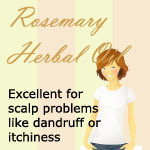 The content on aromatherapy-at-home.com is fresh and updated every week. Nearly 80% of all site pages are listed in the top 30 in Google, Yahoo, and MSN. The Alexa traffic ranking reflects diverse traffic from Europe, Asia, Australia and America. What type of advertising does this site offer? The type of page, kind of ad, and number of units make listing the prices here impossible. Of course, I want my ad quotes to be competitive, so by filling out the form below, you give me a picture of what you want, and what you may be able to afford. This moves both of us closer to a reasonable agreement. Banner size is fixed to 486 x 60px. Not more than that. It will be placed in the middle of my content. You can choose in which page and in which line do you want to ad. Banner ads are not available on homepage. It will be put in my tier 2 or tier 3 pages. Button 120x80 or 120x120. One button per one URL. Right now I will only sell 4 spots. You can look the spot at my homepage. It will placed right under the "NavBar". The length of the button can be customized. But the width is fixed to 120px. Up to 20 words, a direct link. Text will be blend in my article or put in the bottom of each page. If you choose this type of ads, you only give the link and the text, I'll put in my article according of the pages chosen by you. See one of my pages that match your product? Then you can buy this product link format. Your product will be put just like the example above. With the images and details of the products. I will only put 1 product link per page. Size of the table is the same as above. 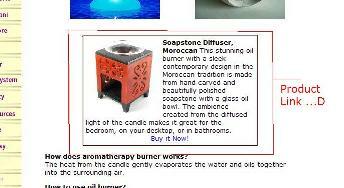 Listing your business to our Aromatherapy business directory. We have featured listing (with the image) and regular listing for you to choose. Submitting to the aromatherapy event directory is free, but if you want to make it featured, then I will charge you $2/week. The rate is per week. Reserve the right to decline any advertising inquiry that doesnt fit this site. The price will be based on a contract for 6 months or a year. For Business listing the contract will be one year. Prices are subject to change upon renewal. If, at any time, you're not satisfied, I'll refund the balance of your payment and remove your ad. Advertiser will have to pay cancellation fee 10% from the refund money. To avoid ad-saturation, only a specific number of ads are allowed on each page. Once those spots are filled, no further ads will be offered. 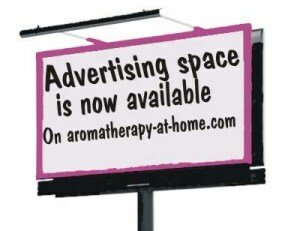 Aromatherapy-at-home.com provides a professional, valuable advertising service and we make every effort to earn your business and trust to create effective ad campaigns. For more information and rates, submit this form. We will contact you with the information quickly. Which Ad type are you interesting?